Make sausages and grind meat for chilli, soups and more! 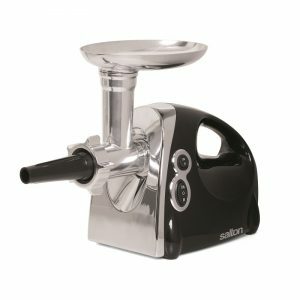 The powerful and reliable motor on the Salton Food Grinder and Sausage Maker allows you to grind meats easily and quickly. Select from the 3 stainless steel discs included for fine, medium or coarser ground meats. Meat never gets stuck thanks to the reversible motor. 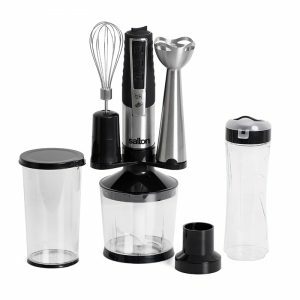 Attachments disassemble for easy cleaning. Includes, 3 stainless steel grinding discs, stainless steel cutting blade, sausage, kebbe and cookie attachments. 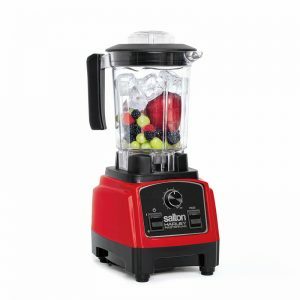 This food grinder also grinds cheeses, nuts, fruits and vegetables! 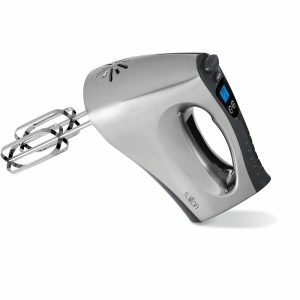 With a powerful 200-watt motor, LCD display and 16 speed settings the Salton Digital Hand Mixer can handle almost any mixing task; from kneading dough to whipping egg whites. A comfortable handle with easy to reach buttons and a convenient flat heel to rest on the counter are all wrapped in an innovative, sleek design. Dough hooks and beaters are easily removed by the ejection button on the handle. Includes two chrome beaters and dough hooks. Take the muscle work out of making mashed potatoes. 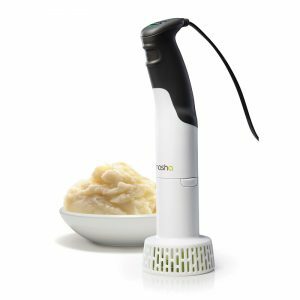 With the Salton Masha you can have consistently smooth mashed potatoes, guacamole, baby food, and more with the press of a button! The patented ‘rotor-cone’ technology forces all the ingredients through the outer mesh, leaving no lumps in your food. When you done simply run it under the tap for a quick clean up. 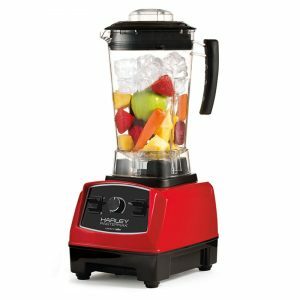 Mashing vegetables has never been so easy!